How do you find the right executive coach for you? What should you expect from your executive coach? How can you measure your progress? Should managers use executive coaching to address performance issues or to reward great staff? 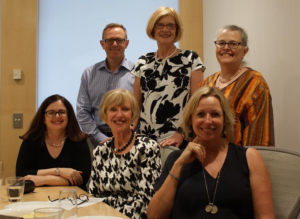 Founding Partner, Catherine Burrows, spoke with the foundation members, Marg Lennon, Claudia Lantos, Glenn Dennett and Trish Kelly, about the big questions of executive coaching. Catherine began by asking how they got into coaching. Marg said she had been coached as an executive and found it very helpful in clarifying her goals and giving her another perspective on the situations she was facing. Claudia told Catherine that she is passionate about helping people achieve their objectives, in both business and personal growth. Trish said that, as GM of HR, she had seen the power of coaching, for individuals and organisations. She gained great professional and personal satisfaction from working with people to help them achieve their potential and find solutions to issues they were confronting. Catherine asked what people should look for in an executive coach and how to tell if an executive coach was a good fit. Claudia also mentioned the importance of feeling comfortable with the coach, both their personality and professional background. Clients should be confident that the coach can guide them to achieve their goals and they should feel good about the executive coach’s track record and results. Finally, the client should “feel the coach has empathy and knows their world”. Trish believes the client should be comfortable with the coach’s style and feel they will be able to build an open and trusting, collaborative relationship. The coach should have a proven track record and the leadership and coaching experience to provide value. A coach who is a good fit will show that they are genuinely interested in their client’s goals and will encourage them to openly pursue the achievement of those goals in a flexible, respectful and, at times, challenging way. An issue coaches often discuss is how clients should measure their progress when working with a coach. Our foundation members took different approaches to answering this question. Claudia noted the use of 360 assessments and third party interviews, before and after coaching. Observations and feedback from their manager, colleagues and peers could be useful. The client’s own experience during the coaching program could assist too: for example, a client might recognise that they have become a more effective communicator. Clients should expect a change in behaviour and more richness in the tools available to them if they put in the hard work. 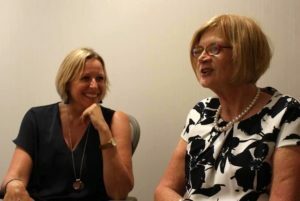 Marg told Catherine that clients should expect to begin their work with a coach by creating some goals to be achieved by the conclusion of the coaching process. Although these goals may change as the process unfolds, it’s useful to have agreed goals to start with. 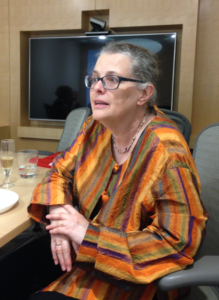 Marg noted that the client’s manager should usually be involved in the creation of those goals. A client could expect regular discussions about their goals and progress toward achieving them as part of their coaching experience. Trish emphasised that a client should not expect the coach to provide them with answers. They should feel listened to, supported, energised and sometimes challenged to think about their goals and issues, often in ways they might not have done before. The client should also feel that they are able to take away actions they have identified that will progressively help them reach their potential. 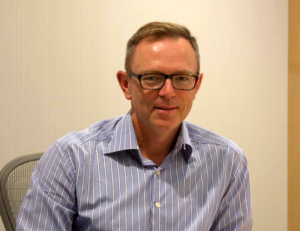 Glenn feels that progress in coaching is mostly about the client finding new ways of doing things or seeing their circumstances; and clients should expect their coach to have an ability to enable that new way of ‘doing’ or ‘seeing’ in them. Some coaches express strong views about whether coaching should be used as a way of addressing performance issues or whether it should be reserved for use as a reward for great performance. Catherine asked the group what they thought. Trish feels coaching is a method of supporting individuals to achieve their goals, so this means people are coached for a range of reasons. “Many managers and organisations do not deal with day to day performance issues and don’t have clear and meaningful discussions with employees when an employee is not performing to the standard required.” Programs to support employees to address performance issues need to be customised: while coaching can certainly have a place in this, it is likely coaching will have a focus on improvement. Glenn believes there is a role for coaching in both circumstances. He said that his approach doesn’t vary much: “My view is that change and growth are generally difficult for everyone, regardless of whether they are coming to it from a place of shortfall or success.” So, he tries to work with his all clients with the same amount of care, compassion, non-judgement and empathy. Marg feels that in addressing performance issues, the client, their manager and the coach need to get very clear on the outcomes, so everyone knows what success looks like. Regular reviews are useful to ensure progress towards these agreed outcomes. 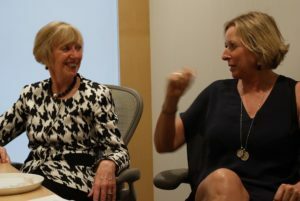 When coaching is a reward for high performing executives, “a key success factor is that the client needs to want to be coached, to do or think differently.” Here, she said, goals were still useful, along with the development of a vision: the sessions would have a focus on improvement and clients could expect to participate in conversations and answer questions that would stretch their thinking and thus their actions. Claudia said that while both approaches are valid, she is passionate about people who are truly interested and committed to reaching their best potential: this could be whether they were not yet performing well or when they were performing well but wanted to do even better. “Also, sometimes it’s a more personal journey, with a lot of insights and a new awareness of themselves, their job or their purpose. I love it when it’s all of the above. Two of our foundation members were formerly very senior HR practitioners, so Catherine asked them about choosing coaches for other executives. 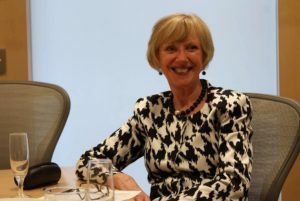 Marg was Vice President of HR and Organisational Development in an ASX 100 company. She looked for qualifications first when choosing coaches. She then asked about the coach’s methodology, including how they planned to communicate and involve the manager, where this was appropriate. She also asked about their experience across a variety of industries. And executive coaching as an experience?